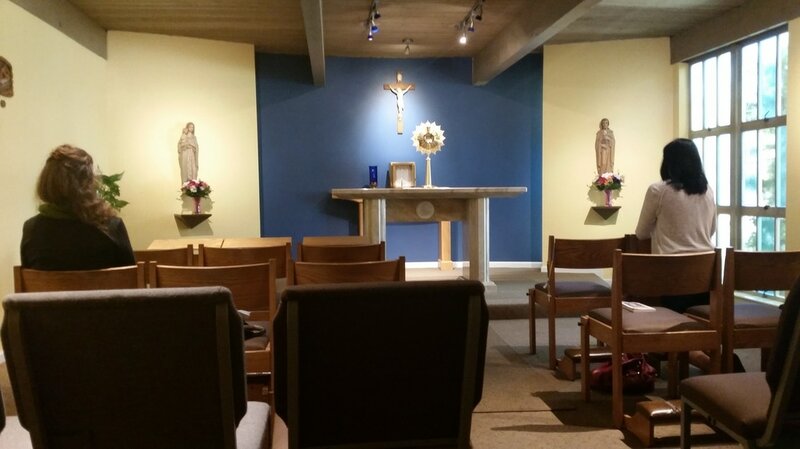 "My soul thirsts for You, My Lord"
Our 24 hour Adoration Chapel is a place to meet Jesus in the peace and quiet of your heart. Feel free to stop in anytime between 6:00AM and 10:00PM, no appointment necessary. If you have any questions, or would like to be a chapel volunteer, please contact Dan at (805) 539-8213, or Linda at (805) 539-8214. You can also simply fill out the form below.